WASHINGTON (CNS) — When Pope Francis accepted a proposal at the Vatican May 12 to form a commission to study the possibility of women serving as deacons today, it generated plenty of buzz. The pope’s agreement on the idea — raised by members of the International Union of Superiors General, the leadership group for superiors of women’s orders — was interpreted by some as a thumbs-up to women deacons and eventually women priests, which the Vatican spokesman was quick to rebut the next day. Pope Francis “did not say he intends to introduce a diaconal ordination for women,” and he certainly did not speak about the ordination of women priests, said Jesuit Father Federico Lombardi, the Vatican spokesman. But even a study of women deacons — suggested by women and approved by the pope — carries pretty hefty weight, some are saying. 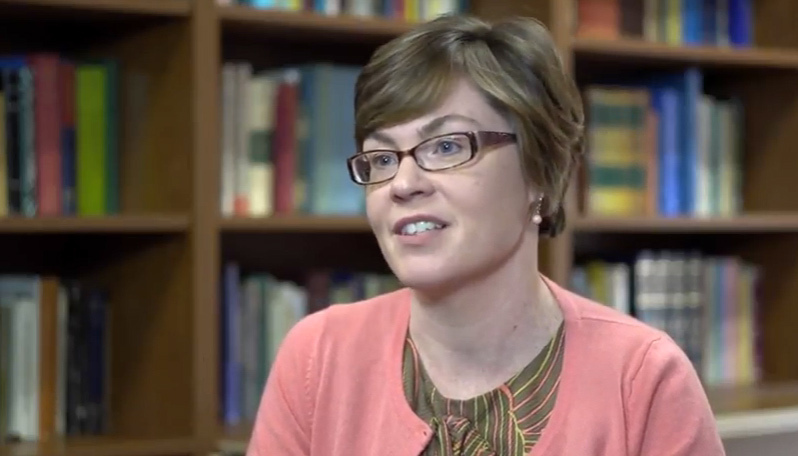 Even the context of the possibility of this commission is important, said Kathleen Sprows Cummings, director of the Cushwa Center for the Study of American Catholicism at the University of Notre Dame. The pope’s response to this idea caught the attention of Deacon William Ditewig, a theology professor at Santa Clara University who previously served as the head of the U.S. bishops’ diaconate office. He said he keeps looking back at the pope’s words that day to the women religious and what stands out is the pope’s humility. It’s clear, he said, that the pope has thought about the issue but hasn’t kept up with it and is willing to hear more. Deacon Ditewig, who has written several books on the permanent diaconate and lay ministry, also said it’s important to pay attention to what the pope didn’t say. The timing of the suggested commission also is worth noting, said Phyllis Zagano, senior research associate in the religion department at Hofstra University in Hempstead, New York, who has researched and written about the history and theology of women deacons. “I am delighted that in this time of Pentecost the spirit has brought the question of women deacons to the Holy Father’s mind,” she said in an email to CNS. “A genuine commission can only arrive at the same answers scholars have arrived at for many years: Women have been truly ordained as deacons and can be so ordained again,” she said, noting papal letters in the 11th and 12th centuries that she said gave bishops permission to ordain women as deacons. Zagano also said that in the 18th century, the canons of the Maronite Catholic Church that include ordaining women as deacons were given papal approval. 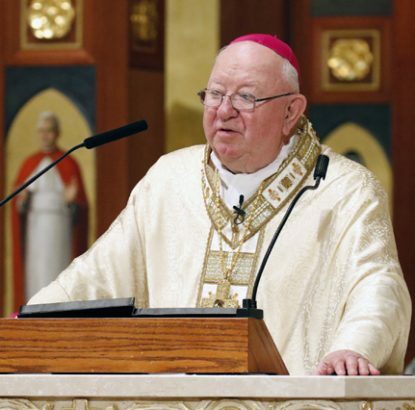 But Bishop William F. Murphy of Rockville Centre, New York, questioned whether there is documentation showing women were actually ordained deacons in the early church. “That is not the way the apostles made decisions in the Acts of the Apostles,” he added. Deacon Ditewig told CNS May 13 that the pope’s acceptance of a study really needs to be taken just at its word and put into the context that the Catholic Church has studied this issue before but has failed, as recently as 2002, to offer a definitive answer about women deacons. Where the church has been clear on its insistence that the priesthood is reserved only to men, it has avoided saying the same about the diaconate. In 2002, the International Theological Commission, which acts as an advisory panel to the Vatican, concluded after a five-year study that it “falls to the ministry of discernment which the Lord established in his church to make an authoritative pronouncement on the question” of women deacons. Even though some hoped the report would open doors for women in the church, the commission made clear that the role of women deacons in the early church cannot be considered equivalent to that of ordained male deacons. Further study of the permanent diaconate, a ministry restored by the church in 1967, is a welcome effort said Deacon Ditewig, who said it could provide clarity about the potential role of women, but also offer a needed clear theology about the role of deacons. To that end, he said the commission charged with studying the issue should include theologians as well as historians. He also said there should be a cautious approach about what such a commission could ultimately decide. “Right now there is some freedom,” he said, because the lack of a definitive answer from the church on the issue of women deacons provides some hope that it is possible. “What if the answer is no?” he said, stressing that people shouldn’t ask the question if they aren’t prepared for the answer. I’m pretty sure women deacons would just be called “deacons” same as the fellows. Not “deaconesses” as Bishop Murphy referred to them. It would be like calling Bishop Murphy a “Bishopette” because he is the steward of only a little diocese. Inaccurate and a little dismissive. I hope the Church brings back women deacons, they would meet a real need.